This hand stamped “Faith” necklace features a turquoise and yellow bead along with the symbolic faith fish symbol. Includes an 18″ chain. 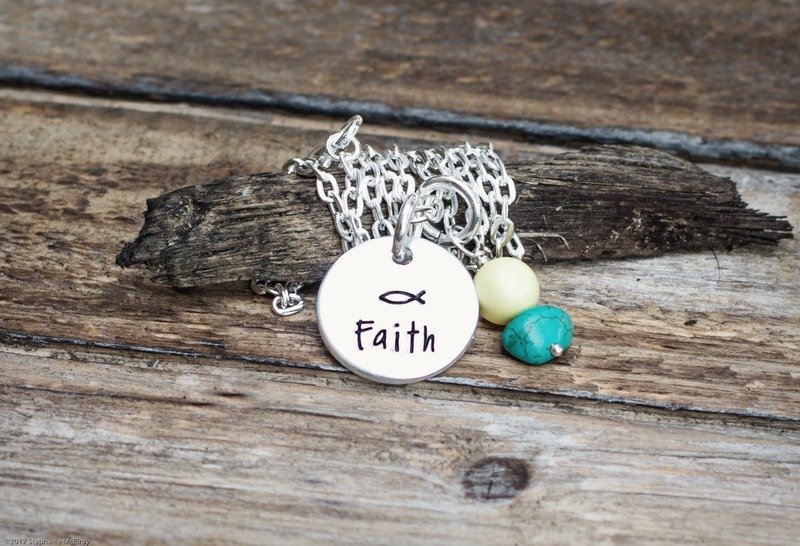 A simply stated charm necklace that reads ‘Faith’ with the symbolic fish with a yellow and turquoise bead.